Michigan is a state of many worlds and landscapes. From the modernity of its cities to the timeless beauty of its wild areas, Michigan has a variety of environments. The Lower Peninsula is home to most of Michigan’s population and includes Detroit, where three of the world’s largest automobile manufacturers set up shop during the early 1900s. Motor City has a fascinating history, including the birth of both the automotive industry and Motown. Today, more than 15 million people visit the Detroit area each year. The Northern Peninsula offers an array of attractions, particularly for outdoor enthusiasts. Flatlands and swamps make up most of the Great Lakes Plain in the eastern portion of the peninsula, while rocky peaks and mountains line the western half. To the north, the Keweenaw Peninsula juts out into Lake Superior. Roughly one-third of the entire Northern Peninsula is reserved for outdoor recreation, and as such, draws millions of visitors annually. Overall, Michigan is one of the most popular states for outdoor recreation. It has more freshwater coastline than any other state in the nation, and nearly 65,000 individual lakes and ponds. As you can imagine, it’s a hotspot for boaters and RVers. In fact, some of the RV parks in Michigan are top-rated parks in the country. 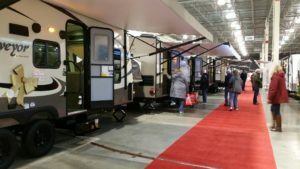 Because Michigan is such a popular travel destination for both RVers and boaters, there are several large RV shows throughout the year. Here, we’ll talk about which ones are best, and why. This biannual show takes place at the Suburban Collection Showplace in Novi, Michigan. Novi is a small suburban city on the outskirts of Detroit. There are several historic homesteads and farms in the town and its surrounding areas, offering much to explore during your stay. The Showplace is just outside of downtown Novi, but close to attractions like Paradise Park and Emagine Novi – a luxury cinema with a cocktail bar. Just up the road, the Haas Lake Park RV Campground offers affordable spots and lake views. 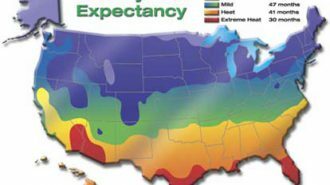 This show occurs twice per year, in the winter and the fall. The winter show will be entering its 52nd year in 2018, while the fall show is entering its 28th year this October. Both shows offer more than 280 RVs on display, including everything from pop-up campers to luxury motorhomes. 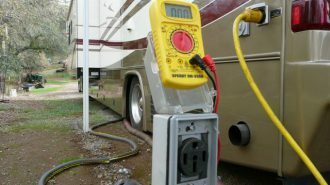 There are also dozens of exhibitors with information on RV accessories, campgrounds, and RV rentals. Throughout the weekend, you’ll have the opportunity to sit in at one of the many educational seminars. At either show, you’ll be treated to manufacturer deals, show-only pricing, and on-site financing. Tickets: $10 for adults, $9 for seniors 55 and over, free for kids 12 and under. Discounts: Buy advance tickets online and share on Facebook for $2 off, or get a discounted ticket here. You can also register to win a free pair of tickets here. 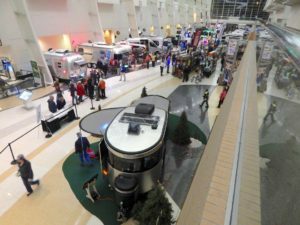 The DeVos Place Convention Center is home to this large RV show. Located right in downtown Grand Rapids, the Convention Center is close to cultural attractions like the Performance Hall, the Grand Rapids Art Museum, and Broadway Grand Rapids. The venue sits right on the Grand River and offers gorgeous views of the surrounding city. 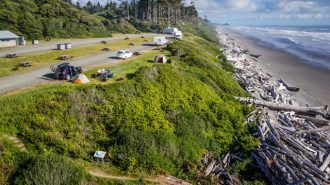 There are a handful of RV parks throughout the area, all of which are roughly 20-30 minutes away. This show is the biggest in the state and boasts over 200,000 square feet of exhibition space. It includes 12 dealers from Western Michigan and RVs from more than 100 top brands. 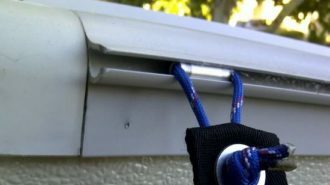 There are several vendors offering RV accessories, camping gear, and destinations. Seminars include a presentation from full-timers Greg and Cori Young, and from renowned documentarian John Holod. Don’t forget to grab a bite to eat at the Saturday Morning Pancake Breakfast, where you can enjoy all you can eat pancakes and get half-off of your admission for the day! Tickets: $10 for adults, $4 for kids ages 6 to 14, free for kids 5 and under. All tickets are good for one day only. Four-day adult tickets are $16. Discounts: Download this coupon for $2 off (valid for box office purchases only). For a free kid’s ticket, print and color this poster, then bring it to the box office. Buy a Saturday Morning Pancake Breakfast ticket for half off an adult ticket or a free kid’s ticket. The Michigan State University Pavilion is home to this show, and what a beautiful home it is. The venue sits atop a large grassy knoll just outside of the University campus. MSU is minutes from downtown East Lansing, where you can catch a show at the Wharton Center for Performing Arts or get a drink at one of the many bars. Or, you can visit the nearby Potter Park Zoo and see more than 500 animals from around the world. Cottonwood Campground is just a quick, ten-minute drive away. This show brings together four dealers and more than 150 RVs on display. 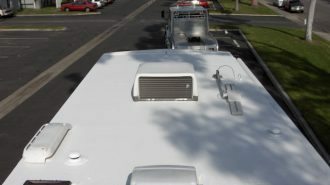 RVs include motorhomes and towables from more than 20 well-known manufacturers. Since the show is in January, guests can get special pre-season pricing on the year’s newest models. You’ll also find a wealth of fishing and hunting gear, outdoor vehicles and accessories, camping gear, and travel destinations. The show attracts roughly 10,000 visitors each year. Tickets: $6 for adults, free for kids 17 and under. The Battle Creek Camper & RV Show takes place at the Kellogg Arena in Battle Creek. The venue is sandwiched between two bodies of water: Battle Creek and the Lower Mill Pond tributary. It offers panoramic views of the rivers and the surrounding city. There are several nearby attractions, including Clara’s on the River, a riverfront restaurant in a historic building from the late 1800’s. There are also several other restaurants and breweries in the area. This show boasts more than 50 RVs from 15 different brands. 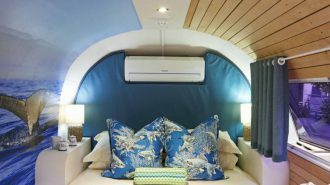 It caters to a wide range of budgets and includes RVs of all types, ranging from $5,000 to $100,000 in price. You’ll have plenty of opportunities to take advantage of show-only pricing, manufacturer incentives, and on-site financing. And, of course, there’s also a number of booths with RV accessories, camping destination, and more. Throughout the weekend, you’ll be able to take part in contests and educational seminars. Tickets: $5 for adults, $4 for seniors 55 and older, free for kids 12 and under. Discounts: Download a $1 coupon for any adult or senior ticket here. Enter to win free tickets here. This springtime show takes place at the Dort Federal Credit Union Event Center just outside of downtown Flint. The Event Center sits adjacent to Cook Park and Eastridge Commons, a small shopping center. 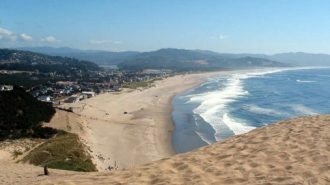 The city proper is a ten-minute drive away and offers a wealth of things to do when you’re not at the RV show. Unique eateries line the streets of the downtown district, including the Flint Crepe Company, a local BBQ joint, and the long-standing Torch Bar & Grill. Entering its 41st year, the Flint Camper & RV Show is a longtime popular event. 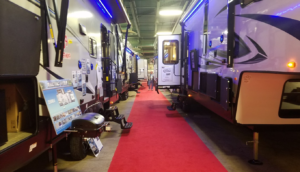 The show brings together several dealers from the area, offering more than 50 RV units from 15 of the best-known brands in the industry. 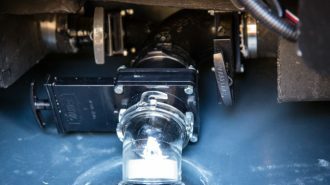 RVs include motorhomes, pop-up campers, toy haulers, travel trailers, fifth wheels, and more. 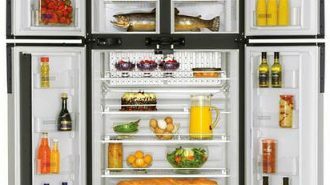 Prices range from $7,000 to more than $100,000, and manufacturer discounts are abundant. You’ll also enjoy exclusive show pricing on RVs, camping gear and accessories, and campgrounds. Tickets: $7 for adults, $6 for seniors 55 and up, free for kids 12 and under. Discounts: Download a $1 coupon for adult and senior tickets here. Enter to win free tickets here. The Grand Traverse County Civic Center is the host of this annual show. The Civic Center is right smack in the middle of the scenic Grand Traverse County Park, setting a beautiful backdrop for the show. It’s surrounded by lush green grasses and trees, right in the junction between the West and East arms of the Grand Traverse Bay. To say this is a gorgeous spot to attend an RV show would be an understatement. Best of all, there are a handful of RV parks and campgrounds nearby, offering views of the bay and other area lakes. 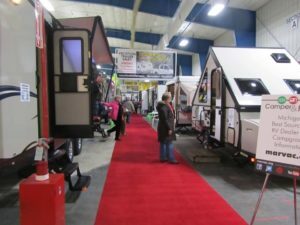 Aside from the exquisite scenery, the NW Michigan Camper & RV Show offers a diverse collection of RVs from local dealers. There are roughly 40 units on display, including everything from pop-up campers to Class C motorhomes. 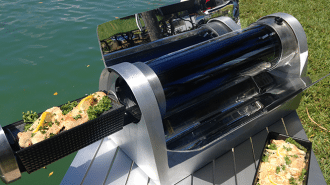 This show is perfect if you’re on a budget, as prices range from $7,000 to $75,000, and there are a handful of dealers offering exclusive discounts and on-site financing. You’ll also find booths offering discounted camping gear and RV accessories. Tickets: $6 for adults, $5 for seniors 55 and over, free for kids 12 and under. Discounts: Download a $1 coupon for adult or senior admission here. Enter to win free tickets here. The Superior Dome in Marquette, Michigan is the perfect place for this unique show. This massive arena is the world’s largest wooden dome in the world and can hold about 8,000 people. It sits on the shores of Lake Superior, looking like something out of a futuristic Water World. Marquette is a college town, home to Northern Michigan University, and as such has a number of bars and restaurants. Other attractions include Lakenenland Sculpture Park, The Upper Peninsula Children’s Museum, and Marquette Mountain. This show is the largest outdoor recreational show in Upper Michigan. You’ll find a vast selection of boats, RVs, classic cars, outdoor vehicles and gear, accessories, and much more. So, if you’re looking to buy a new toy hauler and a new ATV to haul in it, you’ll find it all at this one-stop shop! There’s lots to see and do at this show, including a fishing pond for the kids. Don’t miss out on the handful of vendors offering delicious local foods, either! Tickets: $4.50 for adults, $3.50 for seniors 65 and older, $3.50 for kids ages 6-12, free for kids under 6. They don’t call it Pure Michigan for nothing! Michigan is full of adventure, culture, and changing landscapes. From urban attractions to the breathtaking beauty of Michigan’s lakes, there’s a perfect escape for every type of traveler. The entire state is drenched in history, and you’ll start to hear the echoes of its past the moment you arrive. Stunning architecture, ancient geological formations, and unique ethnic heritage are all part of what makes Michigan such a wonderful travel destination. If you’re heading to one of Michigan’s RV shows this year, you’re probably in the market for a new RV, right? 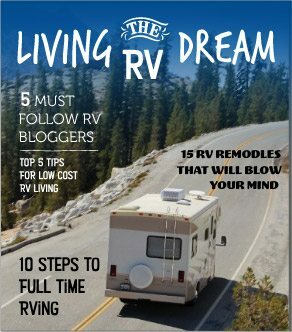 Here at RVshare, we like to recommend that you rent an RV before you buy one, especially if you’ve never bought one before. 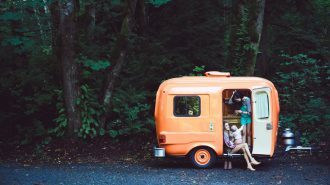 Renting an RV is a great way to test out different types of RVs – and the RV lifestyle itself – before you commit. Buying an RV is a big investment, so you want to be sure you weigh all your options first! To find affordable RV rentals in Michigan, start browsing our inventory now! Happy camping!